Where's my warrantied Mountune package, Ford!? The Heritage gets the 375 package, this gets the 400 package. CLEARLY YOU THINK THEY'RE OKAY. Ford EUROPE is OK with that...sadly, I don't think the US will ever release one. 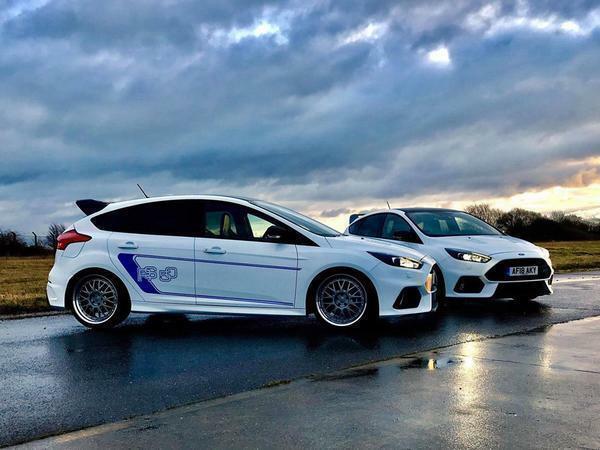 Ford Focus RS50 EVO sells for £83k: Update! EVO: Ford Focus RS review - the king of the super hatches? EVO Magazine: Ford Focus RS review - the best hot hatch ever?